TSB is a retail bank in the United Kingdom carved out from Lloyds Banking Group as a challenger to the big five incumbents. Their mission is to ‘bring more competition to UK banking, and ultimately make banking better for all UK consumers.’ TSB has 11,500 partners (employees) spread across around 600 sites across Britain, including head office and contact centre sites in London, North Bristol, Gloucester, Sunderland, Swansea, Sheldon and Edinburgh. TSB wanted to replace a patchwork of legacy technologies with a single, effective, communication channel that reaches every single TSB partner, irrespective of role or location. TSB also decided to replace basic collaboration tooling to support better team working across the bank. With partners working from different branches and offices, a simple but impactful device experience was going to be the cornerstone of the new digital workplace. Following a period of consultation with AddIn365, TSB Bank felt their needs would be best met with the Office 365 platform. Furthermore, TSB were encouraged by AddIn365 to think beyond an Office 365 intranet and consider the benefits of developing a digital workplace for partners, which would include Office 365 collaboration and productivity capabilities. 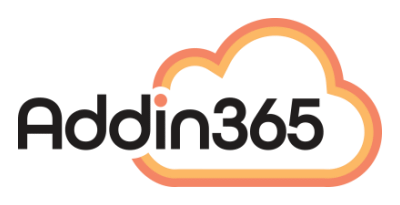 The target was set; AddIn365 would work with TSB to deliver to partners a world class TSB Microsoft Office 365 digital workplace experience, covering Office 365 intranet and Office 365 collaboration tooling, to meet their business objectives. A digital workplace that is accessible 24/7 by all partners, in all locations, on a device of their choice. The ability to deliver rich media content. Full collaboration and two-way communication between partners. Content that looks, feels and sounds like a challenger brand. A solution that is built and compatible with the latest technology. TSB owned social media integration. An intuitive and powerful search experience. The ability to measure the usage and adoption of their digital workplace. At the heart of the TSB Office 365 digital workplace vision is the need to ensure partners are engaged, informed and have a voice. The pre-requisite of achieving this is delivering a platform which is easy to use. Time efficiencies; particularly when partners are looking for content and expertise to support customers and do their job. Cost savings; through reducing the duplication of effort around the organisation and providing partners with support when completing tasks and processes. Anytime, anywhere access to information; with a mobile-first approach to delivering the Office 365 digital workplace to partners. Engagement; with a vibrant digital platform that allows partners to talk and collaborate with one another to be more productive. AddIn365 products and services meet TSB’s vision and 100% of the business objectives, functional requirements and partner engagement requirements set out. 83% – 89% of TSB’s 11,500 Partners are using the digital workplace each month, to be productive. On average, there are 640,000 Partner interactions with the intranet each month, amounting to 65 uses by each TSB Partner. Homepage content is relevant, useful and engaging. On average each Partner is diving into homepage articles and videos every other day. Products and services content, which is used to serve customers, is used by contact centers and branch Partners on average 276,240 times a month.